Y’all know I love a good deal so when LastMinute.com were offering a combined deal of a meal and a ticket to a show for £24 I couldn’t help but add it to my birthday week celebrations list. 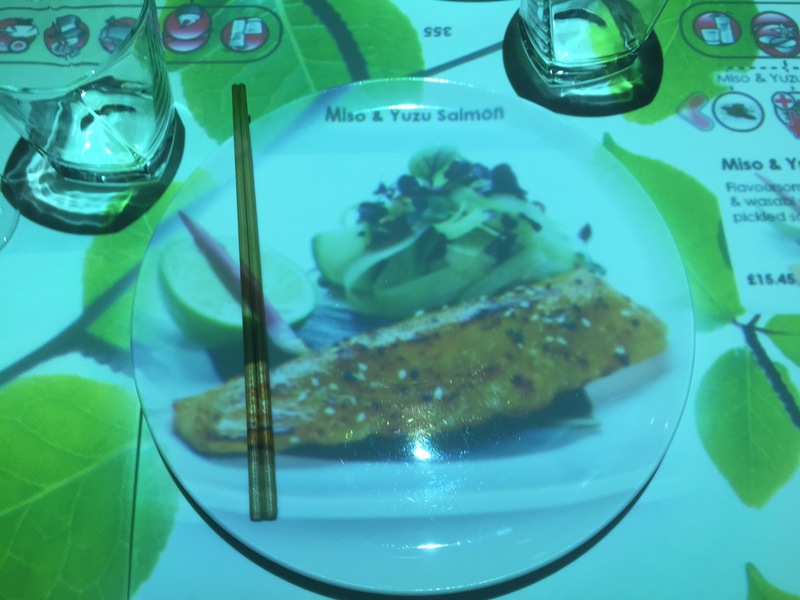 To be honest it was the choice of restaurants that swayed me on the deal more than the show as Inamo was somewhere I’d wanted to try in a very long time due to the fact that they have interactive ordering at the table. I arrived early and grabbed a cocktail at the bar before my friend Jen arrived. To keep things simple I paid for my drink separately rather than having it added to the bill and was a bit surprised to find that a service charge was automatically applied! This is one of my bugbears at any restaurant but for this to be applied at the bar I thought was particularly cheeky. Jen arrived and we were seated towards the front of the restaurant where the waitress talked us through using the system. As we had a set menu we didn’t really need to use this except to order drinks and request the bill which was a bit of a shame as it was good fun to mess around with. The system is meant to free up staff to clear tables and bring food and there is no mistake with orders however this does mean that you can’t customise your request. We had a set choice of a vegetarian or non-vegetarian bento box which I can’t seem to find on their menu anywhere so I’m not certain as to how much this usually costs. 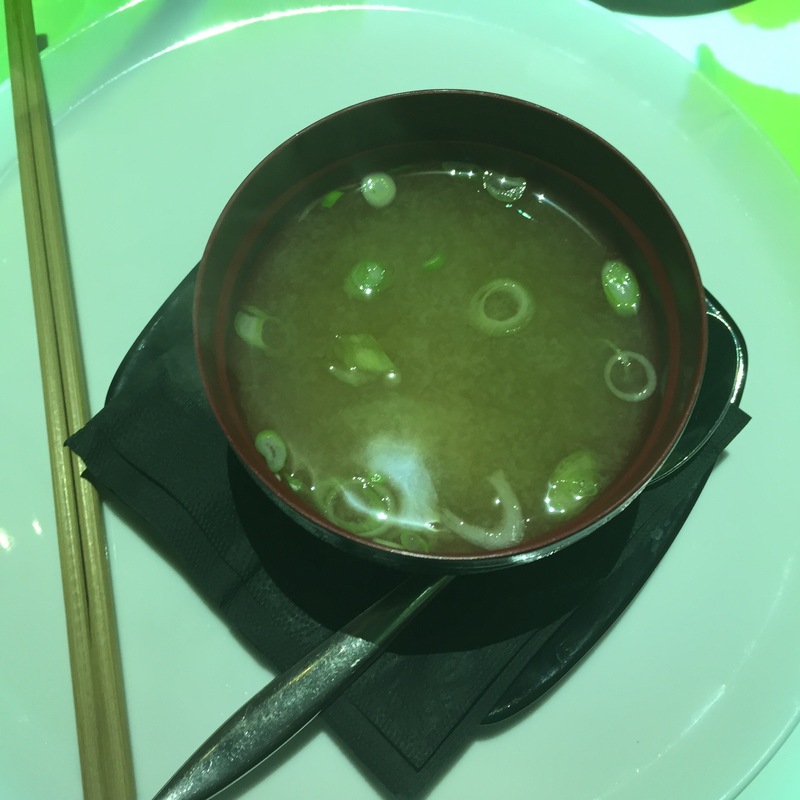 Jen and I both went for the non-vegetarian which started off with a delicious miso soup. 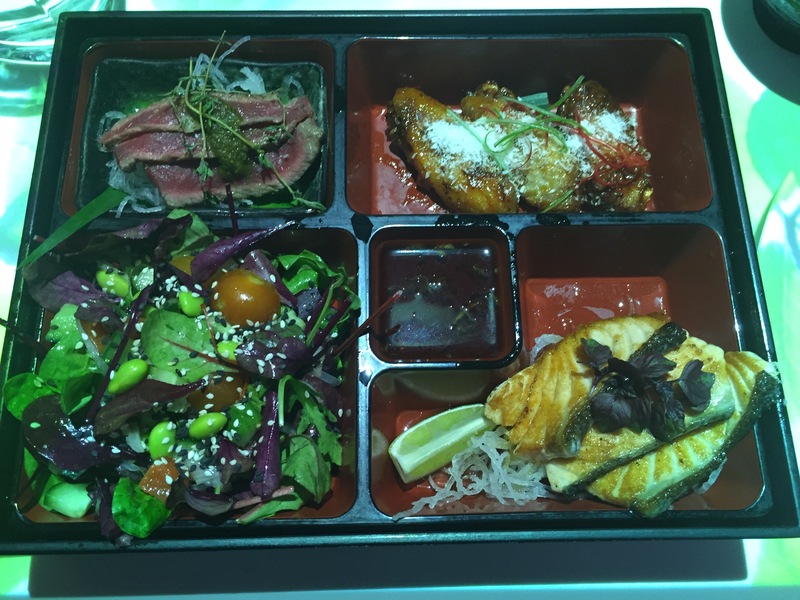 There were three parts to the bento; beef sashimi, chicken wings and salmon fillet with an edamame side salad. 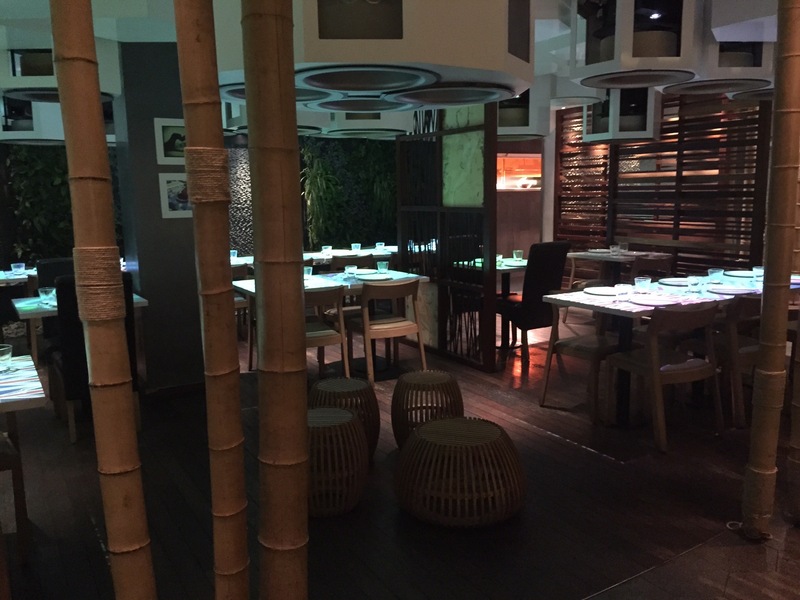 The food was very, very average which was a huge disappointment. I’m not sure if it was meant to be but everything was cold including the wings and nothing really had much flavour and the salmon was very much overcooked. Annoyingly we only discovered the games section of the system after we’d requested the bill but were able to get in a quick game of Battleships before we left. The interactive ordering system is what draws people in but its good food that keeps people coming back. I’d like to see if the main menu is any better but it’s not a cheap place to eat so I’m not sure I’d be willing to risk a return visit when there are so many other places in London to try. We have little boys who love technology and Japanese so during a visit to the West End I decided to find something that was a but unusual. Inamo were extremely accommodating when our travel plans were delaying and although we arrived 45 minutes later than our reservation they didn’t bat an eyelid.